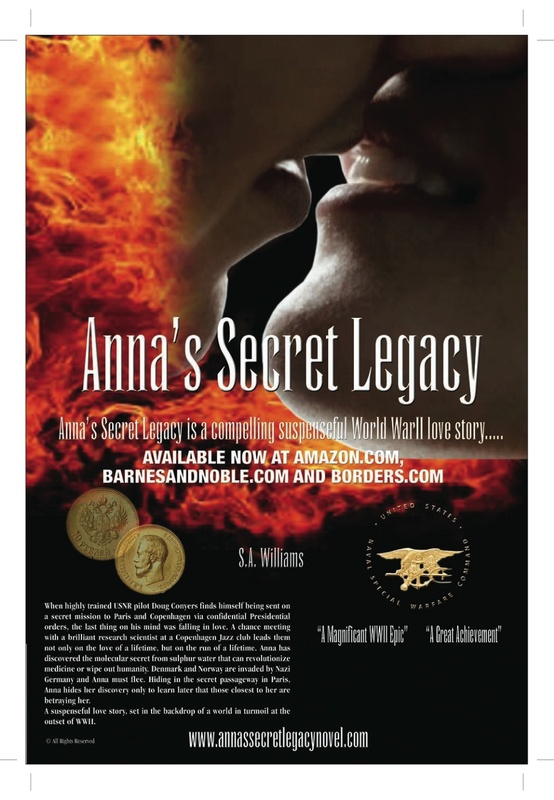 Explosive new heart wrenching WWII Story ‘Anna’s Secret Legacy’ from author S.A Williams takes literary world by storm! This entry was posted in Amazon, Anna's Secret Legacy, Anna's Secret Legacy Blog, Annas secret legacy novel, Banks, Barnes & Noble, Book Blog, Book Signing, Borders, Love Affair, Pressroom and events, Scientific Discovery, spies, World War II. Bookmark the permalink. ← Anna’s Secret Legacy will go to Saratoga For Travers Week August 2011- Events will be posted!